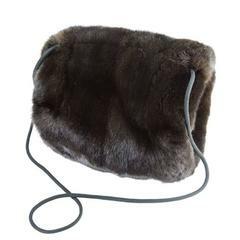 c.1940s large fox muff with slotted interior for hands and exterior zipper on shirred fabric back. Cord handle with tassel. 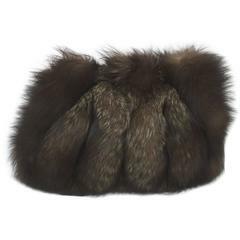 Black Fox Fur Muff. Inner satin lining. Metal zipper inside.